Chicago progressive rock band District 97 is ready to let the world know why there is "Trouble With Machines." 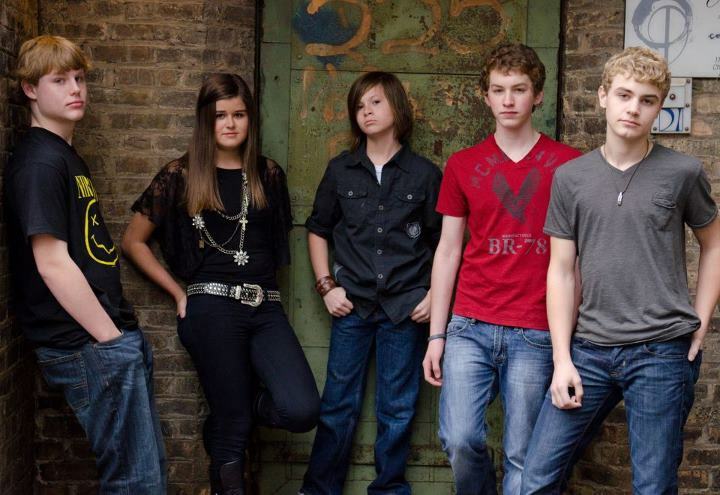 Fronted by former "American Idol" contestant and St. Charles native Leslie Hunt, District 97 will release its second album on July 17. In a sneak preview of the album, District 97 will perform July 6 at Martyrs', 3855 N. Lincoln Ave., Chicago. Tickets are $10, available at www.martyrslive.com. 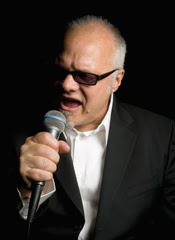 Award-winning soul blues singer/harmonica master Curtis Salgado will undergo surgery on July 18 in Portland, Ore, to remove a cancerous growth from his lung, according to his manager, Shane Tappendorf. A partial lobectomy will be performed to remove a segment of Curtis's left lung where a metastasized mass was found, stated his record label, Alligator Records. It is suspected to be the same type of cancerous mass that was removed from his lung in 2008. Salgado will be hospitalized for a period of four to six days and will require a recovery time of up to four weeks. Salgado and his doctors anticipate a complete recovery. 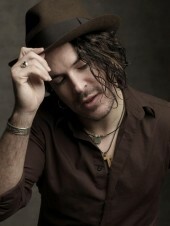 Winner of the 2012 Blues Music Award for Soul/Blues Artist of the Year, Salgado has recorded eight critically acclaimed solo albums. He tours internationally with his own band and has also toured as vocalist with the Robert Cray Band, Roomful of Blues and Santana. Salgado is also credited with being the inspiration for John Belushi's character of Joliet Jake in "The Blues Brothers." "I am extremely grateful for the overwhelming support of my family, friends and fans and the courageous people that have faced this fight before me," the 58-year-old Salgado wrote from his home this week. "I also want to thank the promoters and venues for their understanding regarding my medical situation. We will do our best to reschedule all of our performances affected by my surgery." Salgado, who was diagnosed with liver cancer on March 23, 2006, underwent successful liver transplant surgery on September 30, 2006 at the Nebraska Medical Center in Omaha, Nebraska. Donations to help with Curtis's expenses can be made online at http://curtissalgado.chipin.com/curtis-salgado-medical-fund. More information is at www.facebook.com/CurtisSalgado. It's likely to be one of the biggest musical events featuring Chicago musicians this summer. A collection of Chicago musicians will perform July 2 at Lincoln Hall in Chicago to celebrate the life and music of Adam Yauch and the Beastie Boys. "Time For Livin': A Tribute to MCA and The Beastie Boys" will start at 8 p.m., and tickets are $10, available at www.lincolnhallchicago.com/Shows/07-02-2012+Time+For+Livin. Members of The Right Now, JC Brooks & the Uptown Sound, Scotland Yard Gospel Choir, Clip Art, Dance Floor Plans, ShowYouSuck, Kings Go Forth, Rita J, The Drastics, Bumpus, Akasha, Liquid Soul, Abstract Giants, Any Kind, DJRC and Lowdown Brass Band are among those scheduled to perform at the event. Proceeds will benefit an organization that will further Yauch's humanitarian efforts. I am still on a high from the musical feast presented at last weekend's Blues on the Fox festival in downtown Aurora. Saturday's musical offerings were a tasty smorgasbord - a healthy dose of the blues, along with a smattering of gospel and music from the Big Easy. Chicago's own Shemekia Copeland got things started in strong fashion as she brought her roof-rattling vocals to the stage. "I fell in love with the blues at an early age," she told the crowd. "I remember going to school singing Koko Taylor songs." Highlights of her set included a searing version of "Ghetto Child," made famous by her father, the late Johnny Copeland. At one point in her show, Copeland stepped away from her mike and her voice still carried out to the appreciative crowd, a testament to just how powerful her voice is. Next up were the Lee Boys, who turned the festival into a rollicking church service with their uplifting gospel-tinged sound. Chicago Blues: A Living History, an all-star group comprised of Lurrie Bell, Billy Boy Arnold, John Primer, Billy Branch and Carlos Johnson, created many musical highlights, with Arnold showing he is still a musical force at the age of 76 and Primer playing the deep blues he learned as a member of Muddy Waters' band. The party ended on a perfect note with New Orleans musicians Art, Charles and Cyril Neville performing together as The Nevilles. Not even a rainstorm which cut their set short could dampen the good feelings they created as they played some of their best known songs. For a few minutes at least, the Fox River was transformed into a sleepy bayou as the crowd enthusiastically joined them in singing "Fire on the Bayou." One can only hope that the rest of the summer's musical offerings match the excitement created at the Blues on the Fox festival. The members of Winnetka band High Street play like seasoned veterans. Their young faces, though, tell a different story. Brothers Kurt Findling,15, Erik Findling,13, Jenny Thompson,15, Billy Hennessy,15, and Jimmy Friedman,15, have to juggle doing homework with playing music. And they are especially busy these days. After recently releasing its second EP, "Nocturnal," High Street is now in the process of editing its first music video. I had the pleasure of interviewing the members of this young, talented band. Q - Great talking to you. I understand you guys are now in process of editing your first music video. How is the process coming and what should people expect from the video? Kurt - The process is great and it's a lot of fun. The performance part of "Wasted On The Young" was shot in a green screen studio and the second part is being shot next week. People should expect a very professional look and sound with a funny theme running through it. The lyrics are about a guy wasting his life. That's all I'll say for now. Our director, Dustin Grove, really has some cool ideas and it'll show High Street's personality. Q - Many people who have heard the band have expressed amazement when they find out how young you guys are. Do you think you are more talented than other musicians your age? Jenny - Well, I don't know about that. We've seen a lot of other young bands our age and there is a lot of talented kids and we're friends with many of them. What really sets us apart I think is that we've been playing together a very long time, almost five years now. The hardest part about a rock band is keeping it together. We've been together so long that it's second nature. That lets us to do things at our best. That's the difference. Q - How do you think the band has evolved since first forming in 2007? How would you like to see the band continue to evolve? Billy - We began as a cover band like many bands do, but that grows old after a while and you really need to start creating to stay interested and keep things fresh. We also want people to hear what we have to offer, instead of playing other people's music. I'd like to see us continue to write more music that has a lot of appeal to listeners, but also see some success on the business side of things, perhaps go on a regional tour next year. I am in charge of selecting the tour bus. Jimmy - I'm new to High Street and I have a lot of background in jazz. Although we have a blues-based rock style, I see us adding some new elements to our next recording. We need to keep layering new colors on the music to define our style. Q - There's a definite blues influence in your music. How did you guys get turned on to the blues? Who are your biggest influences? Erik - Kurt and I grew up on rock and roll at home and in the car, everywhere. When High Street got started, we just started playing the covers we liked and they just happened to be blues-based bands like Led Zeppelin and the Rolling Stones. Once you start covering those bands, it takes you on a path in that same style. The Stones lead you right to Aerosmith and then Guns N' Roses. It's like a road map forwards and backwards. If you go backwards from the Stones and The Yardbirds, it takes you to right back here to Chicago with all the Chess Record guys like Buddy Guy, Chuck Berry, Muddy Waters and Howlin' Wolf. Q - There are so many ways musicians can get out their music these days. How is the band trying to get its music out there? Kurt - There's two ways really, playing gigs and social media. We're working now on booking more gigs in front of new audiences to build our fan base. That social media part is very important too. We have a big online presence. We have a website, www.highstreetrocks.com, we have a Facebook page, a Twitter profile, YouTube channel, Sound Cloud and Spotify. Our music is also on iTunes as well. Q - I understand getting a record deal is the band's biggest dream. What kind of label would the band like to be on? Would you prefer being on an independent label? Jenny - A record deal would be great no matter if it's a major label or independent. What's important about the record label is that they believe in us and would help us get to the next level with our career. We want to do what we can to get heard and hopefully more successful. Q - Is it harder to get gigs because of your age? You've already had some high-profile gigs. Do you still get nervous stepping on stage? All - No we don't. Billy - Getting gigs is tougher because of our age. There are some places that just don't want under 21 groups. But that will change as our audience grows and we build our base. It's just a process. Jimmy - We actually don't get nervous. There is too much to concentrate on to do your job on stage. Q - How do you see yourself fitting into the Chicago music scene? Kurt - We'll fit in perfectly. I'd be more worried if we were in L.A. or somewhere else. Like Erik said, this is the home of the blues. This is the place that launched a big part of rock and roll. Our style falls right into that and Chicago is so big, there is room for High Street to make our mark. We just have to create great material, put on a great show and the rest will fall into place. 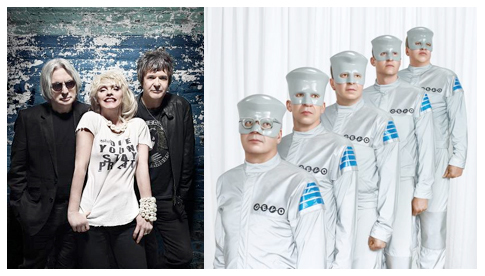 One way or another, this was bound to happen - Blondie and Devo are touring together. The "Whip It To Shreds" tour comes to the Chicago Theatre on Sept. 26. Tickets are on sale at www.ticketmaster.com. “We can’t wait to get out on the road with Devo. It’s going to be an incredible show and we’re excited to share it with our fans,” said Blondie's Debbie Harry in a press release. Devo co-founder Mark Mothersbaugh agreed. “We are looking forward to performing alongside Blondie and swapping costumes backstage,” he said. When Chicago blues musician Lurrie Bell howls "the devil ain't got no music," he does it with so much conviction that you have to believe him. "The Devil Ain't Got No Music" is the title track of his latest album. 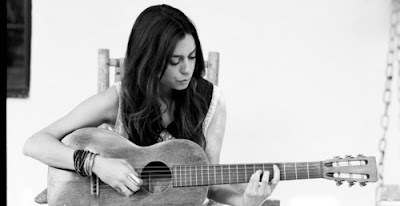 Bell's deep and honest vocals are allowed to shine on the stripped down, gospel-fueled record. Bell is sure to add a lot of excitement when he appears at this weekend's Blues on the Fox festival in Aurora. Bell will take the stage at 6:30 p.m. Saturday as part of Chicago Blues: A Living History, also featuring Billy Boy Arnold, John Primer, Billy Branch and Carlos Johnson. 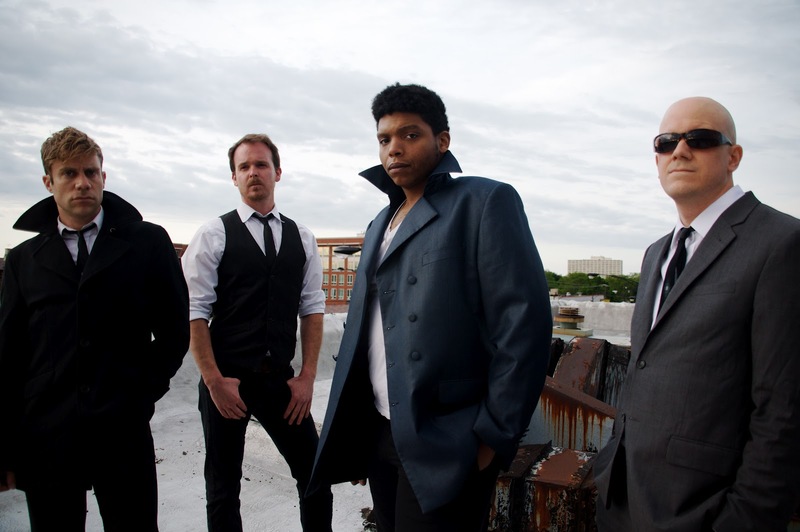 Blues on the Fox will take place Friday and Saturday at North River Street Park in downtown Aurora, just west of Hollywood Casino. Kicking things off in exciting fashion Friday night will be singer and guitarist Shane Dwight, who will take the stage at 6:30 p.m, followed by blues rock guitarist Kenny Wayne Shepherd at 8:30 p.m.
Also set to perform during the festival are Chicago's own Shemekia Copeland, sacred steel band Lee Boys and New Orleans musicians Art, Charles and Cyril Neville, performing together as The Nevilles. Admission to the Blues on the Fox festival is $5 per day, with children 12 and younger entering for free. More information is available at www.bluesonthefox.com. As the director of publicity and promotions at Red House Records, Ellen Stanley works behind the scenes to get the label's artists in the spotlight. 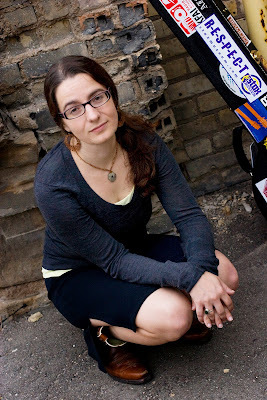 On June 13, Stanley will step into the spotlight as her alter ego - Mother Banjo - takes the stage at Uncommon Ground, 3800 N. Clark St., Chicago. The Puffins and The Sea The Sea also are on the bill. The show starts at 8 p.m., and donations are $5. More information is available at www.uncommonground.com/pages/clark_home/19.php. I had the chance to talk to Stanley, www.motherbanjo.com, about her alter ego. Q - What should people who come out to the Uncommon Ground show expect? I'll be bringing my keyboard player Ben Cook-Feltz with me, who played on my new CD, "Stray Songs," so we'll definitely be playing lots of those songs as well as some old favorites and fun covers. We also hope to collaborate with my friends The Sea The Sea, who are sharing the bill with us. Q - Your music has gained critical acclaim, including that you were selected as a 2008 Midwest finalist in the Mountain Stage NewSong Contest. Has the acclaim surprised you at all? Is that something you aimed for? When I applied for the Mountain Stage NewSong Contest, I had just started playing out, so I really didn't expect anything to come from it. When I got the email from Mountain Stage, I almost deleted it, thinking they were just sending me news about the contest. Thankfully I opened it, and I couldn't believe I had been selected as a finalist! It was a great honor and came at a time when I really needed the encouragement to continue pursuing my music. Q - What drew you to the banjo in the first place? Who are your biggest musical influences? I was classically trained on piano, oboe and voice, but as I got more into folk and country music, I really wanted to learn a stringed instrument. Everyone I knew already played the guitar, and I figured the world didn't need another mediocre guitar player. But I always loved the banjo - especially its percussive quality - and so I decided to pursue that, figuring I could always rope in one of the other million great guitarists to play with me. Q - You also are a music publicist. Do you need both in your life, to be a musician and a music publicist? Do you think there will ever be a time in your life when you just concentrate on being a musician? For now, I really love being able to do both. Helping my favorite musicians get a bigger audience could be one of the most rewarding jobs there is, and it gives my left brain more of a workout. But I've been a musician my whole life, and that need to create will never go away. And I love getting to tour, getting to explore new places and work with musicians from all over the world. Q - I understand that you were first attracted to folk music as a teenager. Was it a given that you would become a folk musician yourself? I think my teenaged self would be shocked to find I'm a banjo-playing songwriter that records music, plays with a band and tours all over the continent! I actually had much more mundane aspirations as a kid. I thought I might be a piano teacher or work in a cubicle or something. Thankfully my life has turned out much more interesting. Q - I understand that famed singer-songwriter Dan Navarro stopped by as a special guest during a recent studio appearance of yours. That must have been quite the thrill. I couldn't believe it! I had brought in David Glaser in to accompany me on guitar and mandolin for this in-studio performance I was doing at SiriusXM radio. He was on tour with Dan Navarro, so Dan came in with him for the session. During soundcheck, David and I were running through one of my gospel tunes "Revival Train," and David suggested that Dan sing a third harmony part. Dan was game so we did it on the fly, and I think it turned out great. Q - How would you rate the folk music scene these days? Are there things that the folk music scene can do to improve its standing? It's a very exciting time in the folk music scene...there are so many talented musicians, and more and more of them are interested in breaking down the boundaries. I'm seeing more folk artists incorporating elements of other genres, like beat boxing and spoken word. I find there's a fabulous spirit of experimentation right now in the genre. Given the number of music competition shows on TV these days, there is no shortage of people wanting to become the next big thing. The instructors at North Shore Music Institute in Northfield know what it takes to make it in the music industry. 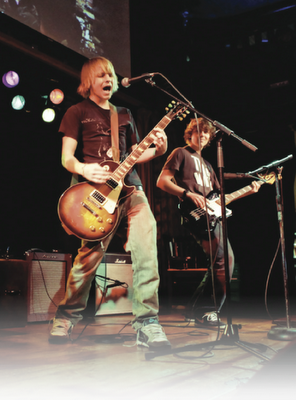 This month, the music school will launch its Summer Rock camp program for kids age 8 to 15. More information is at www.northshoremusicinstitute.com/#/summer-rock/4561652601. I had the chance to talk to instructor Myles Kanzer about the program. Q - What made you want to start a summer camp program for youngsters this year? Is the program generating a lot of interest? Both Michael Poukpo and I have participated in other camps in the past, and with other area camps not running programs this year, we saw an opportunity to fill a void. Our past experience has shown us that kids love going to camps like this, and not only have a great experience socially but a lot of musical development takes place over course of the program. It's inspiring and gives us a lot of pride to see kids make strides with their art and grow in their abilities and confidence. Q - What should those who sign up for the program expect to learn? Some learning is very straightforward: chords, scales, soloing and other musical information that can be relayed from one person to another. Most of the learning is not as textbook. Working with a group, learning your role in a band or a particular song, meeting other kids your age who enjoy and play music, being exposed to music you may not have heard before because of the new friends you meet, etc. It's a great opportunity not just to to learn more about music, but about being a musician. More importantly, we hope to inspire kids to love music so that it becomes part of them for the rest of their lives the same way that we were inspired at a young age. Q - Since 2002, the studio has been providing instruction to students of all ages. Have your students ever surprised you with their talents? Did the movie "School of Rock" help or hurt what the studio strives to do? We have had some very talented people come through the school. More than a handful of students have gone on to Berklee in Boston, and other students have formed some really impressive bands that have some followings and notoriety, like Will Jacobs and Derek Song. We have students that start learning multiple instruments and are successful and accomplished in all their musical pursuits. The movie "School of Rock" was part of a larger resurgence of classic rock music. "School of Rock", as well as the Guitar Hero video game series and Rock Band video game series, have all contributed to an increased interest in music that may have otherwise been lost on a younger generation that was further removed from those bands and styles. One of the main things that we do differently is providing musical education in many styles, not just rock. We prepare students for high school and college auditions in jazz bands and anything else they need. Q - Likewise, what do you think is the effect of all the music reality shows on TV today? Is everybody looking for their 15 minutes of fame? Andy Warhol must have been some kind of prophet because we are getting closer and closer to that as a reality. But TV has a far less impact today, regardless of how popular a show may be. It's all about YouTube and online content. You don't have to make it past auditions, or drive to a big city for taping or sign up or do paperwork. You just need a laptop and your talent, and if people like it, the world will start clicking. Q - What separates North Shore Music Institute from other music schools? How do the instructors use what they have learned in their own music careers in teaching the students? The instructors are what separates [NSMI from other music schools]. No one has better instructors than we do. They have all the qualities you want in an instructor and with wildly impressive resumes. Our drum instructor, Marty Binder, was a regular drummer for Buddy Guy, Albert King and Koko Taylor, and is one of the most sought after blues drummers in Chicago. Guitar instructor Louie Zagoras had fame with his band Rollover and has toured with The Allman Brothers, Sheryl Crow and Joe Satriani, just to name a few. And our drum instructor, Jim Hines, won a Grammy with Brian Wilson of the Beach Boys. You can't beat a Grammy winner. We also have professional composers who have written and currently write music for television, film and Internet shows. We are very proud of all of them and are privileged to have them all teaching here. Q - What have been the biggest accomplishments of the studio since its formation? What other things would the North Shore Music Institute like to accomplish? Putting together this phenomenal group of instructors who have guided great kids to become great musicians is everything we want to accomplish. We can only hope to keep growing and adding more impressive staff to keep young artists inspired and motivated to strive, improve and feel passionate about music. Remembering former Fleetwood Mac guitarist Bob Welch, who was found dead Thursday of an apparent self-inflicted gunshot wound. Welch, who also enjoyed success as a solo artist, was 65. Chicago singer-songwriter Michael McDermott has signed with New Jersey-based Rock Ridge Music, which will release his next album, "Hit Me Back," on Sept. 25. The album was produced by CJ Eiriksson, who engineered albums for U2 and Matchbox 20, as well as McDermott's 2007 album, "Noise From Words." Rock Ridge Music President Jason Spiewak is excited about the signing of McDermott. McDermott, www.michael-mcdermott.com/fr_officialhome.cfm, will preview the album during a show June 20 at Lincoln Hall, 2424 N. Lincoln Ave., Chicago. The show starts at 9 p.m. and tickets are $20, available at www.lincolnhallchicago.com. Chicago native Haroula Rose writes songs for every season. Rose, who grew up in the Chicago suburb of Lincolnwood and now lives in Los Angeles, will release a new EP, "So Easy," on June 4. Even if you're not that familiar with Rose, you probably know her songs, as they have appeared in such TV shows as "How I Met Your Mother," "Being Human" and "American Horror Story." 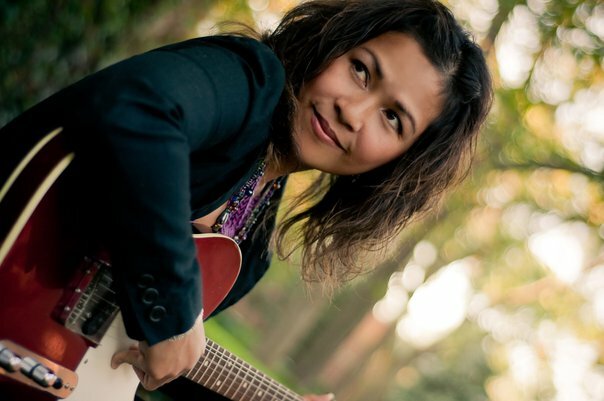 I had the chance to talk to Rose, www.haroularose.com, about the new CD and her other projects. Q - It's great talking to you again. Your new EP, "So Easy," is coming out on June 4, just in time for warm weather listening. I understand the EP was inspired by the spring and summer months. Yes, well I wanted to push myself to have more variety in terms of arrangements and complexity within the five songs on this EP so there would be a range. And it's always nice to have some upbeat summery songs as well as some mellow ones that can take you into autumn too. Q - How did you go about choosing the songs for this EP? How did you get the idea to record "Wichita Lineman" as a spoken word piece? I love that song and those lyrics and chord changes are subtle and complex at the same time, so I wanted to explore that. "Only Friends" is a rare B side from Francoise Hardy, whom I have always adored. They are love songs in one way or another - love good and love gone songs. Q - I understand you plan to release your second full-length album later this year. Does the EP hint at what the new album will be like? What goals do you have for the new album? The new album will hopefully be released later this year, yes. It may have to be early in 2013, but I am truly hoping I get it done this year as well. It really depends on scheduling some things. It is the first time I am making an album that has theme/concept woven throughout, so that is exciting for me. I can talk about it more when it's ready to come out. Q - Sheldon Gomberg, who has worked with the likes of Rickie Lee Jones, Lucinda Williams, and Jackson Browne, recorded most of the EP. What do you think he brought to the project? Sheldon is so warm and kind and totally hilarious. It was a lot of fun working with him and his whole crew of people. They made me feel very at home at comfortable. He also has a lovely studio with great equipment and sound, and a lot of experience with tons of artists. So it was a very positive experience, since we were friends beforehand, and hey, we are still friends afterward! That's a good sign, right? Q - You said in a recent interview that you think the best thing you ever bought was a 1929 Martin Parlor guitar. Explain. Well, I do believe in spirits. I have seen and felt some things in my life that are not of this dimension. And I swear that guitar has some kind of energy in it. People have offered all kinds of things and amounts of money to buy it from me, but I won't sell it because it has a certain energy that is really unique and it just sounds really unique. Has a life of its own, I suppose. I mean it's passed through many hands at this point. Q - You recently performed at SXSW. How was that experience? Will you be touring a lot this year and when can we expect you coming back to the Chicago area? SXSW is always overwhelming on every level. It's hard, but also fun and doesn't seem worth it at the time but then it always is later on when I look back. I performed a lot and it's crazy down there with so many people. But I love Austin no matter what and it's nice to have a reason to go back there. I will be back in Chicago for shows in the early fall. Q - Last year when you were in Chicago, you played at Schubas for the first time. You had told me that it was always a dream of yours to play Schubas. Did the experience live up to the dream? Well, I have seen so many people I admire play there and it always sounds great so yes, it did. I think the bigger dream of mine in terms of Chicago venues was always the Old Town School of Folk, so that is my real dream and hopefully that happens this year! Q - Your songs have been used in a number of TV shows. Does it ever surprise you to see one of your songs being used in a certain show? Do you think your songs are getting out to a wider audience in the process? I love when it happens because it's nice when you can hear a song express something outside of the context in which it was written; like the more specific it is the more it can actually be applied to all kinds of situations and that mystery is pretty cool. It also helps with broadening audiences for sure. That is always nice; I get sweet messages from people all over the world saying that they heard a song because of a show and that it helps them get through something or whatever and those are unquantifiable moments that make all the challenges worthwhile. Q - I understand that you are working on a short film. What is it about? It's about a relationship between two family members. It's evolving, so I will be able to talk about it more soon. Q - I know you have made short films in the past. Do you see yourself getting more into film projects? After the breakup of Chicago-based band Bound Stems, frontman Bobby Gallivan wasn't sure what he would do next. Fortunately for all of us, Gallivan decided to form a new band - Like Pioneers - with a few of his bandmates from Bound Stems. The group has released its sophomore album, "Oh, Magic," and will perform June 8 at The Burlington, 3425 W. Fullerton Ave., Chicago, as part of a record release show. The Runnies also is on the bill. Doors open at 9 p.m. and a donation of $5 is requested. More information is available by going to www.theburlingtonbar.com. I had the chance to interview Gallivan about Like Pioneers, www.likepioneers.com, and the new album. Q - I understand that after Bound Stems broke up, you didn't think you would make music again. What changed your mind? I figured I'd make music again, but didn't know if I'd be playing in a band again. I don't know if there is a singular event that changed my mind. We still had our practice space, and I was still writing songs. I knew Jesse wanted to play music, and I was still good friends with ex-Bound Stems members. So when I decided to rent studio time to work on songs, it seemed natural to invite folks that I'd played with and worked with in the past. Q - Four ex-Bound Stems members are in the band, including yourself. Was it easy getting together with your former band mates? How is the band's chemistry these days? What do you think the non Bound Stems members contribute to the band? The current line up has 3 ex-members of Bound Stems. Dan Fleury is busy being an amazing dad, and he didn't think he'd be able to give any sort of time commitment. He's still with us in spirit! Despite the loss of Dan, it's been great working together. Jesse was in my favorite Chicago band, the Narrator, and he also ran our old label (Flameshovel Records). And our bands used to play around town with Matt Holland's band, Spiller Whale, and Matt used to work at Flameshovel too. So we were all pals before this and had plenty of shared experiences, so it just seemed to work. And their contribution to the band is immeasurable. Jesse sings lead on half of the songs, and it seems like every guitar hook is one of his leads. And Matt is such a rock solid drummer. We wrote this last record together, and all five of us has an equal say in this process. Q - Even though "Oh, Magic" is Like Pioneers' sophomore album, I understand the band is treating it more like the band's first album. How has the band changed since first forming? What goals did you have for the album? Yeah, our first record wasn't written as a band. There was no band. So when we solidified our band as a five piece, it felt weird to call "Piecemeal" our first album. The album was a collection written by various people that we fleshed out in the studio. "Oh, Magic" is so much different. It was the result of all five of us writing and playing out for a year. Ideas were sparked in the practice space, and structures were worked out over the course of several weeks and for a couple of songs, months. The goal for the record was to come up with something that felt representative of what we sounded like. And I feel like we accomplished that. Q - It seems as though there might be a story behind the band's name. Is there a meaning behind the name Like Pioneers? The name comes from a self-depricating joke. Some of us were hanging out, talking about the music that we were making, and Radz's wife said, "It's like you're pioneers!" So we took it from that phrase. Q - Vocals on the album are shared among three members. How did that come about and are you happy with the results? We just kind of sing leads when it feels right, and it just sort of worked itself out. There was a song we had that I took a crack at and couldn't come up with anything so Janie took the lead. If we were playing on something and one of us felt inspired to sing, we'd just kind of call it out and take it from there. I think we're all fans of each other, so that helps. Q - I understand the band wants to do a lot of touring this summer. Do you think it's still important for bands to tour, even as there are ever increasing ways for people to hear music these days? We're actually not touring all that much this summer. We're heading out to New York for a couple of shows, and might do some Midwest stuff, but nothing huge. I think it's important to tour. And not just to get your music out, but also to perform every night together. I wish we had more time to tour on this record, but it looks like it probably won't happen. Q - Where do you see Like Pioneers fitting into the Chicago music scene? I never know how to answer this question. It kind of felt like an entirely new universe when we started playing again, and it still feels like we're in the process of introducing ourselves to Chicago, even though we've been around for a bit. 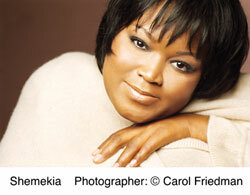 She has been described as possessing one of Chicago's most treasured voices. Her latest effort, the EP "Someday Afternoon," moves Anna Fermin into more of a pop direction than the alternative country sound she established with her band Trigger Gospel. Fermin will perform June 9 at the Old Town School of Folk Music's Myron R. Szold Music & Dance Hall, 4545 N. Lincoln Ave., Chicago, as part of a CD release party. The show starts at 7 p.m. and tickets are $22, available at www.oldtownschool.org. I had the chance to talk to Fermin about her latest musical endeavors. 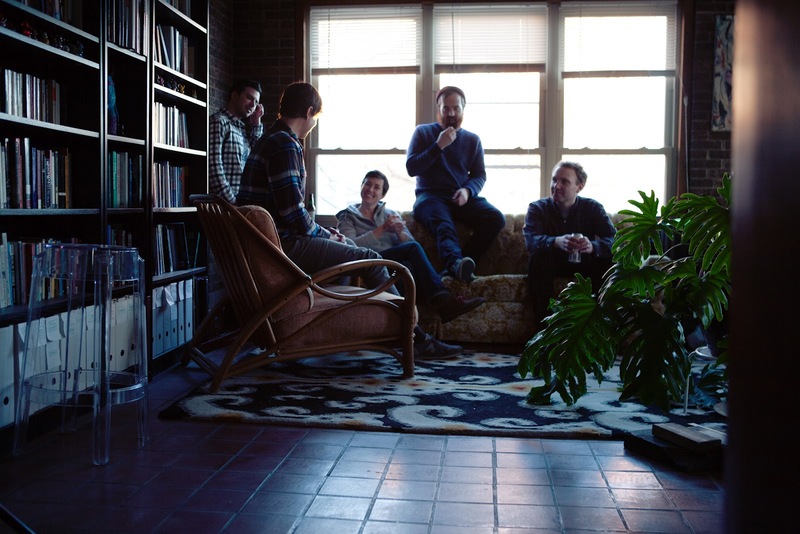 Q - You move into more of a pop direction on "Someday Afternoon." Was that a new challenge for you, to do something a little more pop oriented? I think the biggest challenge for me was deciding to do a project without my long time band Trigger Gospel. I had been playing with these guys for almost 15 years and I really felt it was time for me to collaborate with new musicians. As far as taking on a more pop direction, I grew up in the 80's so pop music was a staple in my house. It seemed a natural progression for me. Q - You worked with Doug McBride, who has worked with other musicians like Buddy Guy and Rachel Yamagata. How did you hook up with him and what do you think he brought to the project? I had heard about Doug for years and the work he'd done with the artists you mentioned as well as bands like Veruca Salt , Fall Out Boy and many others. It was funny because we had a number of mutual friends and artists we'd worked with over the years, but the two of us had never met. I reached out to him, first to mix "The Contender" and then produce "Someday Afternoon." Doug is a great talent with the ability to pull your songs into directions you never thought they could go. It was exciting to hear my songs take shape and breathe in ways I hadn't imagined. Q - You have been described as "one of Chicago's most treasured voices." How does it feel being described that way? Are there any Chicago musicians that you admire in the same manner? It's certainly an honor to be described as such. Especially since Chicago is filled with some incredible talents. Some of my favorites include Patricia Barber, Janet Beveridge Bean, Steve Dawson & Diane Christiansen, and Robbie Fulks. Q - The music industry has changed drastically since you first got on the scene. Is it easier or harder to be a musician these days? What are the biggest challenges in being an independent artist? Even though the music industry has changed so much over the years, the challenges of being an independent artist are still the same in many ways. When I first started out I was mailing postcards with handwritten addresses to the folks on my mailing list. The Internet and social media have made it easier to get the message out to your audience, but you still have to do the work. You still have to connect, and I think that might be even harder to do because you're competing with messages and media and ads, not just from other musicians, but from anyone who's trying to "sell" something. I have found that the music part of being an indie artist is easy, it's the business part (self promotion, booking, etc) that's the most challenging. And think that's always been the case. Q - You released five albums with Trigger Gospel before you decided to go off on your own. Was the time just right for a solo career? Any chance for a Trigger Gospel reunion? Yes, the time was right for me to go solo. Again, I was really feeling the pull to collaborate with other musicians, and I wanted to branch out from being known strictly as a country/Americana artist. I felt I had more to say, or I guess in my case, to sing. Trigger Gospel is currently on a hiatus, so yes, there is definitely a good chance of a reunion. Q - You also will be part of the theatrical production of "Nickel History: The Nation of Heat" this summer. What intrigued you about the project and would you like to do more theatre in the future? A number of things intrigued me about this project. The first thing was getting the opportunity to collaborate with the incredibly talented multi-instrumentalist John Rice. The second, was getting to work with Tony Fitzpatrick. And the third, was getting to work with these huge Chicago talents in a format I had never done before as a vocalist: theatre. Needless to say, I'm thrilled to be a part of it. And as for the second part of this question, ask me again after the production closes on August 5. Q - You have opened for many notable musicians, including the late Johnny Cash and David Crosby. What did you learn from those experiences? I learned that no matter how much fame or fortune you acquire, good people always remain good people. Mr. Cash and Mr. Crosby were and are good people. You could tell they really loved what they did. And my mantra has always been, do what you love and the rest will come. Q - Steve Earle also has been a big influence in your career, and you also had the opportunity to open for him. What was that experience like? It was a bit surreal for me, exhilarating and terrifying. I was pretty young, and it was hard for me not to be starstruck. But he was kind and friendly when we met. Though I have to say I don't remember much of our conversation, because all I could think the whole time was, "Oh my God, I'm talking to Steve Earle." Like I said, I was pretty young and starstruck. Q - Where did you think you fit in the Chicago music scene? What sets the Chicago music scene apart from other parts of the country? I really just hope that I'm known and fit in as an artist who really loves to write and sing great music. I think Chicago is a great place for young and emerging talents. It's a fertile scenes with musicians in every genre encouraging you to grow your songs and style. I don't think you find the kind of competitiveness here that dominates scenes in Nashville, L.A. and New York City.